In a recent study, more than 90 percent of 16-year-old drivers said their driving skills are above average, and in fact were better than half of all drivers on our roadways. CNN reports that this is an impossible mathematical equation! Psychologists have dubbed this perspective illusive superiority, which means that an individual has a tendency to overestimate his or her positive qualities while underestimating negative ones. Many of these teen drivers feel that their driving skills are too advanced to ever be involved in a car accident in Massachusetts or elsewhere. Our Boston teen car accident attorneys understand that these young drivers need extra education and supervision to help ensure their safety on our roadways. In an attempt to help reduce their risks of accidents, Toyota is funding 10 research projects at six U.S. universities. These projects are different in that instead of looking at the dynamics of a vehicle, they’ll be examining characteristics of the driver. 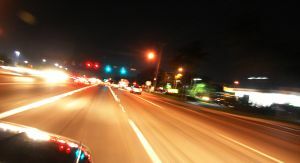 The studies will focus on newly-licensed drivers and the effects of driver distractions. Additionally, to help teens cut down on this dangerous driving behavior, Toyota is offering free 2.5 hour, hands-on defensive driving programs. The car company may have ulterior motives, like cleaning up its reputation. About two years ago, Toyota’s reputation was smashed when a recall crisis involving faulty brakes plagued the nation. Although NASA officials faulty gas pedals and flimsy floor mats, conclusions later suggested that the accidents were mostly caused by driver error. A study that took place at the Virginia Tech Transportation Institute revealed some alarming footage from dashboard cameras, including teens applying makeup, talking, texting and eating while behind the wheel. In one vehicle, researchers witnessed a car accident that threw a distracted driver out of the window. The teen was not wearing a seat belt. As a matter of fact, most teens don’t wear a seat belt in a vehicle even though these young motorists are three times more likely to be involved in a deadly car accident. Researchers have concluded that many motorists find driving to be boring, which is why many drivers engage in distracting behaviors. In a study that examined 69 accidents, 54 of them were caused by driver inattention. According to distraction.gov, there were nearly 5,500 people killed in traffic accidents in the U.S. in 2009 that involved a distracted driver. Drivers under the age of 20 are most likely to be involved in a distraction-related accident. Distractions delay a driver’s ability to react to the same level as a driver who is legally drunk. In Massachusetts, drivers who are under the age of 18, as well as bus drivers, are prohibited from using a hand-held communications device including cell phones while operating a motor vehicle. All drivers in the state are banned from text messaging while behind the wheel. If you or your teen driver has been involved in a car accident in the Boston area, contact Massachusetts Car Accident Attorney Jeffrey S. Glassman for a free and confidential appointment to discuss your rights. Call 1-877-617-5333.